"Good web content management experience with this tool"
This cms is a full highlighted, all fancy odds and ends, all you need tool which is sort of brute. There is a capacity to effectively make point by point envelopes for substance and media association. Using this, I felt as if I was being listened to and the majority of my needs were met. From little to expansive based Drupal sites, you are furnished with persistent incorporation with Development, Staging and Production situations. No reasonable documentation and approach to create applications/pages utilizing the double piece with a reciprocal relationship as opposed to finish highlights in Symfony2 and Legacy Kernel. Lack of most recent tech patterns. It is not all that simple for new engineers to figure out how to create Clickability applications. This CMS allows our national office to have numerous section sites under the same focal center point. Clickability accomplishes more than easily and the extra functionalities get increased in value by little groups, also engineers are so used to do these undertakings through charge line which includes straightforwardness in sending. It does not support version control process for every release pushed on production environment. This increase chances for any risk of code change causing problem cannot be tracked easily. It cause problem in error/ bug detection at later stages. This tool can be used only in places or sites that are not dependant of user login and does not has most of the functionalities connected to user login. This tool is very useful for sites where content changes frequently or where user needs control on how frequent data needs to be changed on site he has developed. We as a service company provides support and maintenance for many sites that are already developed. Also, we provide support for content writing and development for marketing sites where this tool saves lot of time for changing UI as content as per need. 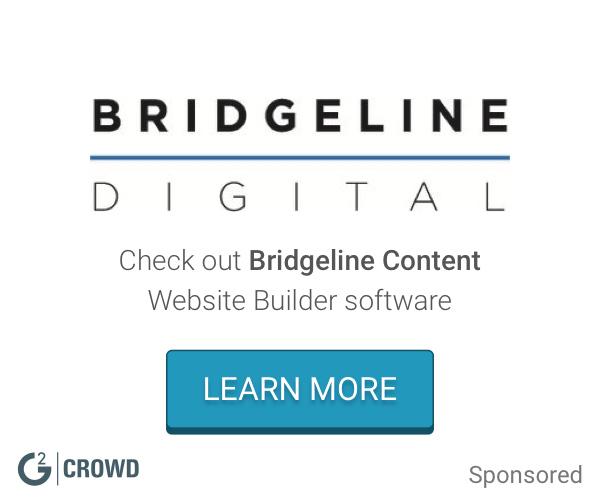 "An easy-to-use and highly recommended platform for managing CMS content"
It is exceptionally helpful for all those sites which demonstrates content on pages and relative changes are requires time to time. The capacity of effortlessly making my operations using an above average web advancement aptitudes was astounding. Love, love, love this component. Clickability's to-the-point mechanism and easy-to-use tools make my job much more simpler - that too all at once. The managerial interface was more instinctive than I expected, and once I got the essential structure made sense of, it was anything but difficult to utilize. At the end of the day, freestyle HTML modules must be altered each time turn by turn instead of an an accumulated alteration process. Lack of documentation on the most proficient method to revive the money server-side was somewhat troublesome, yet no place close to a major issue. I wish it had more elements that would have matched my requirements specifically. The entry was exceptionally befuddling. Not a gigantic arrangement, yet fairly prohibitive. The advantages incorporate convenience amid most errands and client administration was entirely extraordinary. We were tackling the issue of how to overhaul the site effectively from a back-end source. Also, we give backing to substance composing and improvement for promoting locales where this instrument spares part of time for changing UI as substance according to require. This instrument is extremely helpful for destinations where content changes much of the time or where client needs control on how visit information should be changed nearby he has created. "Clickability - Easy to use once you know the system"
The best part of Clickability is it's ease of use. At first, it seems like there are many steps, but overall, once you know the system, stories can be posted very quickly. Another great feature is that it warns you if you accidentally don't schedule a story to be posted so that you can quickly go back to do that before exiting a story. I also love that you can schedule stories in advance. I dislike that the system is just set to Central Time, and we are unable to change that on our end. It would be more efficient for us if it were on Eastern Time like we are. Also, if you accidentally close out of a story before you're done, there isn't an easy way to recover it, as the system doesn't save as you go. Posting news stories to our website. The benefit is that we can easily update and organize our website. The ability to easily create my content with decent web development skills was amazing. The fact that this was easy for me made me love it even more. I am constantly in the process of trying to create content for different departments within my current company and this has made it a breeze. Highly recommended to anyone, even with minimal development skills. I will have to agree with another reviewer on the cache issue. Lack of documentation on how to refresh the cash server-side was a bit troublesome, but nowhere near a deal breaker. This product will allow your company to seamlessly update their content effectively and efficiently without the hassle of using other products that promise to do the same thing. I am solving the issue of each department within this company having the ability to update their content quickly and effectively using this product. It has done wonders with how everything is organized and updated. It's easy to use and seems to auto-save. I've never lost a web story, unlike other similar services. This seems to create bare-bones web articles. It isn't easy to add in social media posts to the body of a story. You also have to code in links, which seems to be a problem for our staff. One missing part of the code, and the link is unusable. I would look to other programs if you want rich web articles. We need to post web articles. This makes that possible. As a veteran "web developer", my expectations for a CMS were on the high end. I wanted to be able to do anything I am able to do another way - and do it nearly as quickly as I can any other way. In general, I was not disappointed. It took a little while to set up content types for the different page types, but once they were set up, even people in the little-to-none experience category were able to quickly make changes. The administrative interface was more intuitive than I expected, and once I got the basic structure figured out, it was easy to use. Have at least one technical person on your team to take advantage of the CMS scripting language features. Overall, Clickability enables a globally-diverse team with subject-matter experts all over the world to update the content on the website seamlessly. The website has a consistent look and feel - increasing brand recognition - while the content continually updated and is up-to-date. I really enjoyed all the features that the program has to offer. It seems limitless all the things you can do with Clickability. It easily connected to our website and the two worked really well together. Sometimes Clickability would be difficult to navigate when you were trying to do something new. Also, sometimes when you're doing something on the back-end of the website through Clickability, it doesn't show up on the website like it does on the back-end. Then it was a game of guess and check. It's a great tool. It's got so many different uses and can be used for so many different things. For the most part, it's super easy to use and it's a one stop shop for what needs to be done. I really enjoyed the new video player options. We were solving the problem of how to update the website easily from a back-end source. The benefits include ease of use during most tasks and customer service was pretty great. "Clickability at an entry-level position"
This is my first job post college, so everything is a learning experience. Clickability was the first program I learned to use at this position and its an easy program to navigate. Once I was trained in the basics for my job function as it pertained to clickability, it was easy to fill in the blanks on my own. It tends to run slow, rarely, but when it comes to a time crunch that only adds to stress. I work in eNewsletter and promotions that benefit so much from the templates that can be created in this program. The templates can be used for multiple brands and it really saves us a lot of valuable time when we have a good shell to work with. "I used Clickability daily for three years and loved its speed"
Speed, ease of accessing content and copying from existing pages. There were several rote tasks I needed to complete every day. Click's peppiness let me fly through those jobs so I could get to other things. Accessing current and older content is a breeze, thanks to every item in Clickability having its unique ID as part of a URL. Love, love, love this feature. When you manage 23 community web sites, the ability to edit an obscure page using a quick cut and paste is a huge time saver. Building special sections was also easily accomplished in Clickability. Copying an existing page template is a simple process that saves a large chunk of time. The only major thing missing from Click is the ability to batch edit content. In other words, free-form HTML modules have to be edited one at a time rather than as a group. Not a huge deal, but somewhat restrictive. This is a wonderful product, especially if it will be used by inexperienced people. I taught dyed-in-the-wool print journalists how to create and publish content in this CMS in less than 30 minutes. Clickability made content management easy -- its ease of use saved time and let me concentrate on the most important tasks each day. "A user friendly Content Managament Tool"
I liked the user friendliness and easy navigation within inapplicability platforms. It is one of the best Content Management system out there with very interesting and manageable layouts within the software that allow user to learn it fast and easy. I feel for our company what I really noticed were the different type features it had. Very user friendly and offered a bit more than others. In the beginning when trying out a new idea it did,seem to get confusing. But we managed to get throu that. It kills two birds w one stone pretty much, very efficient. Speed and capabilities is best in class. It's given us ability to find more clients and understand their needs and such. "Make every marketing engagement unique"
Automates the process or engagement and this is the way to may contact with customers and or clients. Nothing yet that I have encountered. This is the perfect program for my company. "Functional CMS But Some Difficulties"
Scheduling posts and managing placement are both easy. The interface is not intuitive and there a lot of system errors. "A solid CDN without the Akamai pricing"
The portal was very confusing. We often had to purge individual images files (sometimes directories). We had a developer write a script to do it but it was still a little tiresome trying to figure out the TTL info. The Deliver platform was sufficient for us. I would take a look at both LL Site and Deliver and consider the pros and cons. Do Gzip compression. Akamai is top notch but Limelight gave us what we needed at an affordable price. * We monitor all Clickability reviews to prevent fraudulent reviews and keep review quality high. We do not post reviews by company employees or direct competitors. Validated reviews require the user to submit a screenshot of the product containing their user ID, in order to verify a user is an actual user of the product. Hi there! 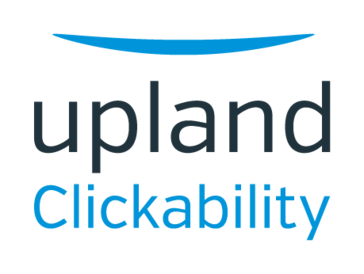 Are you looking to implement a solution like Clickability?